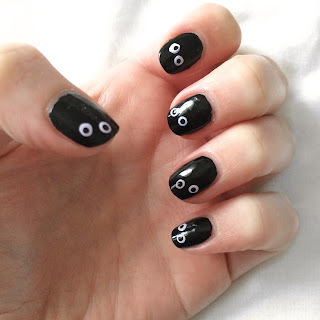 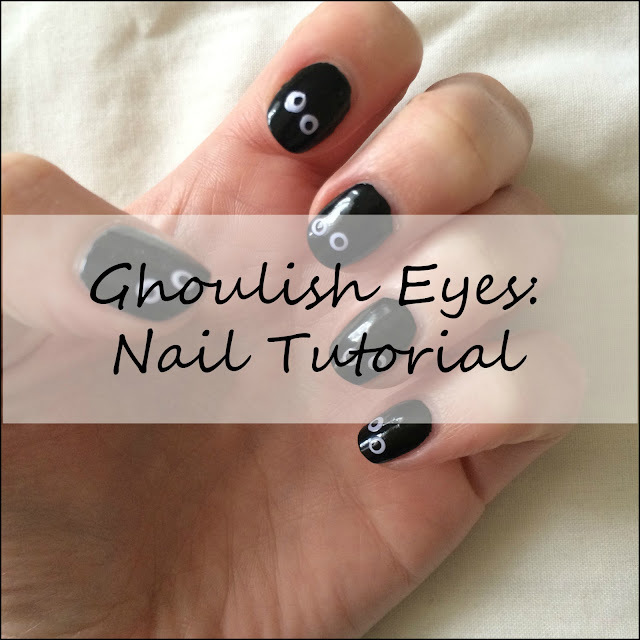 So I thought I would start off with an easy Halloween nail art tutorial. Usually I would do these kind of tutorials using Acrylic on the nails - that's the nail technician in me with acrylic - but I'm fully aware that many of you may not have easy access to those products. 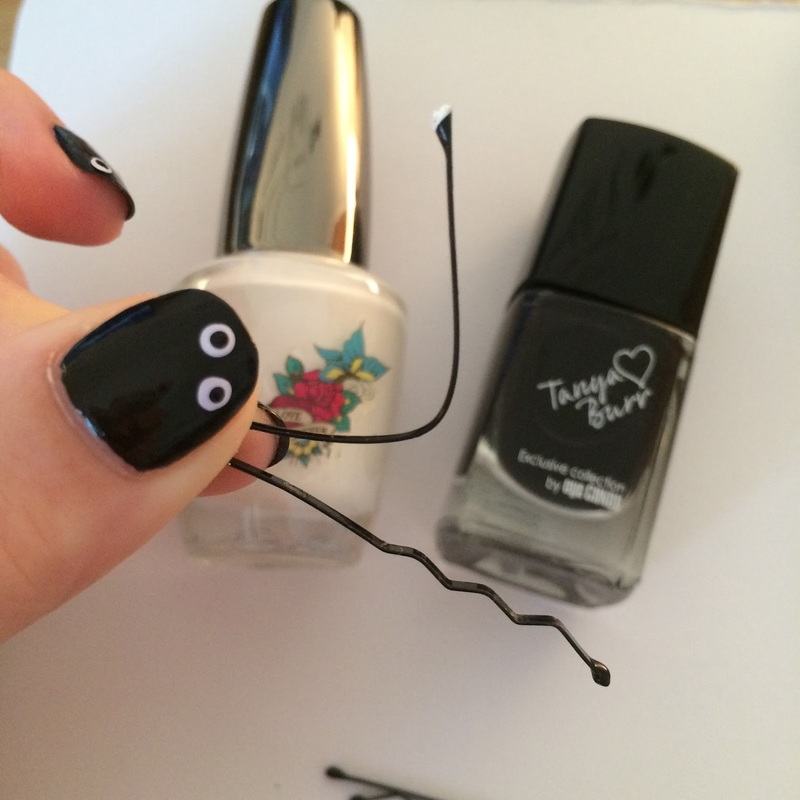 So I've kept it basic just by using nail varnishes and nail tools (hey there bobby pins) that you are most likely to already have in your homes. 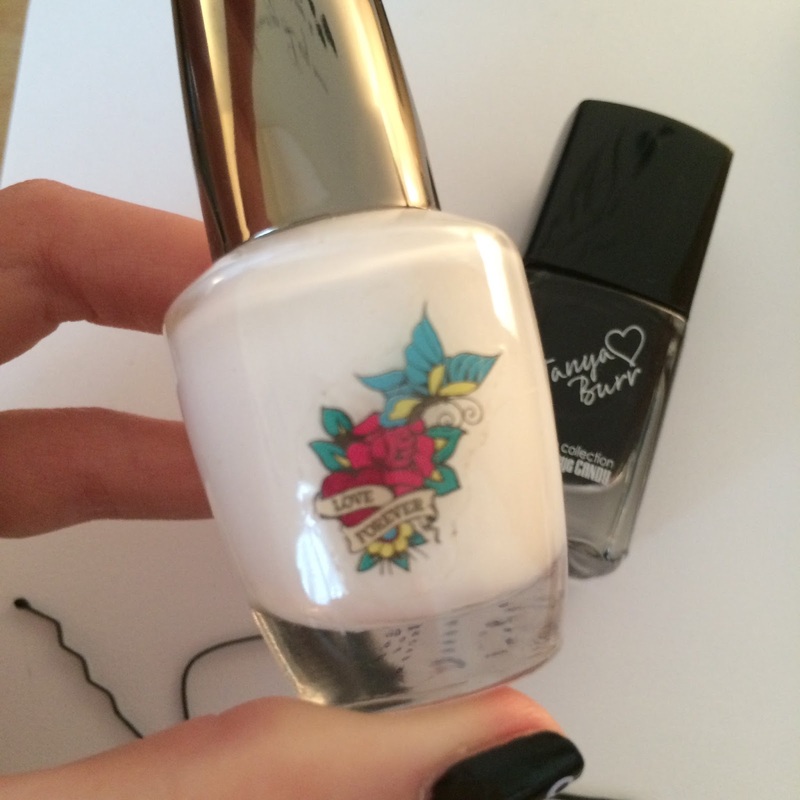 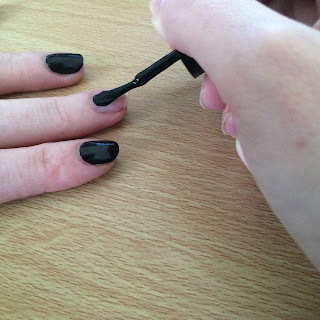 Start by painting your nails in a clear base coat of your choice this is to prevent any staining to the nails from the black nail varnish that your about to use. I then painted my nails in 2 coats of Dark Magic by Tanya Burr, leaving about 1 minute in between each coat to prevent any streaking and left my nails to fully dry before I started doing the eyes on each nail. 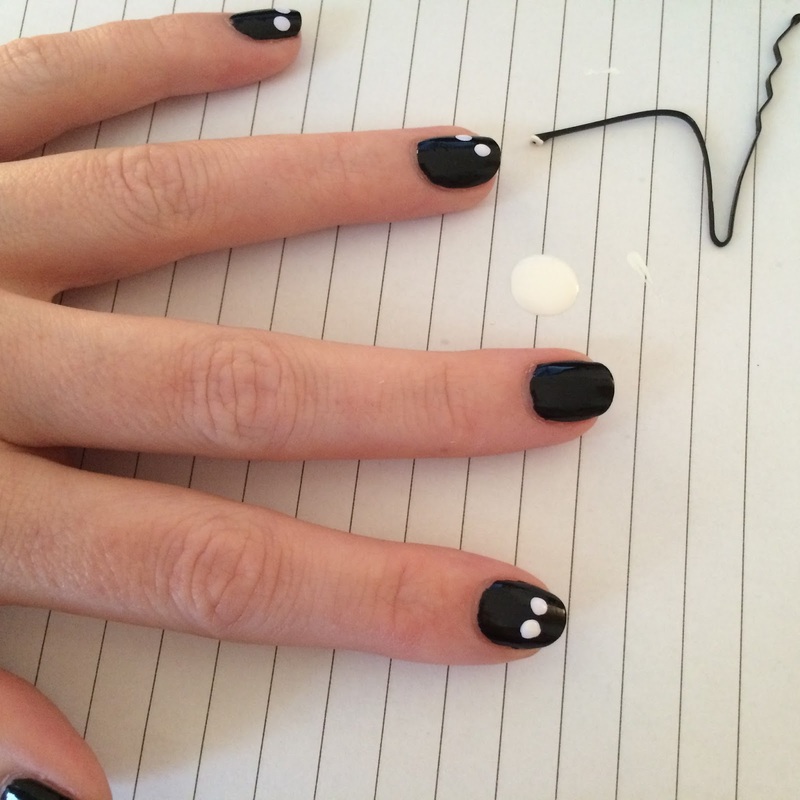 Then using a bobby pin as a dotting tool I stretched it open to make 2 usable ends, Using the bigger end of the bobby pin I dipped this into white nail varnish and begun making 2 circles on each nail next to each other but in different positions each time. Once the white circles were dry, using the smaller end of the bobby pin dip this into the black nail varnish and make smaller circles on top of the white circles you had just done previously. 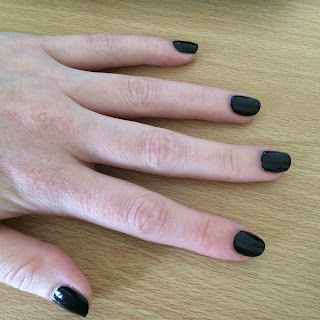 Then leave your nails to completely dry once again and then add a top coat if you wish to, I personally chose not to add one to my nails as I thought they already had a nice shine to them already. 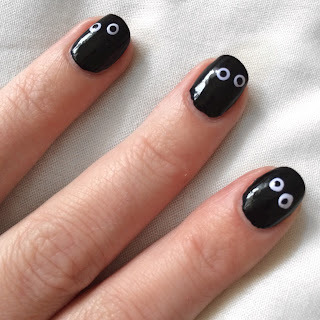 If you try these nails out for yourself, then make sure to send me a tweet @claireyjo with a picture of them and any tweets that I receive I will be sure to re-tweet them aswell. 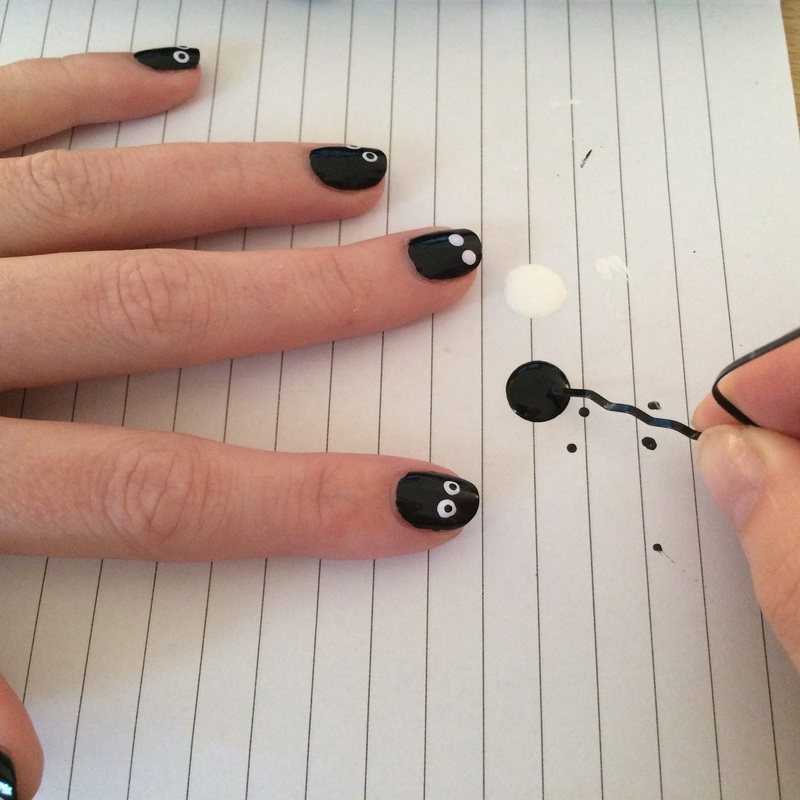 Are there any other nail art tutorials that you would like to see me do?